Read tips and techniques about blower door tests, duct work blasts and appliance assessments. Our energy future is uncertain, and the public is overwhelmed with mixed messages about our oil and gas reserves: Are we headed for another oil crunch? How much are oil and natural gas prices expected to rise? Experts predict that world oil production will peak in 2020 at the latest, but the peak could occur as early as the year 2010. After the peak, the amount of retrievable oil will be in decline, causing prices to rise. Fossil fuels currently provide 95 percent of the world’s commercial energy supply, whereas renewable energy sources supply less than three percent. If we are going to approach our future with foresight, it would be wise to reduce our consumption of fossil fuels and invest in renewable energy at home as soon as possible. Amory Lovins, an international expert in energy efficiency, suggests, “Oil scarcity may be the weakest reason for making the transition away from oil. Profit, climate protection, security, and quality of life are all more relevant and defensible.” If we continue on our present course, the United States’ dependence upon other countries for oil could greatly increase. Yet, an alternate future where the U.S. decreases its oil consumption and increases its investment in renewable energy resources is not only desirable, but possible. Such an investment would free our nation from reliance upon other countries and would also boost the economy through innovative technology and employment. In fact it may be the best way out of our economic conundrum. Economically viable renewable energy sources are already available in today’s market. Wind farms are going up across the nation, providing electricity at the competitive wholesale rate of three to five cents per kilowatt-hour. Electricity from burning biomass (crops and crop waste) also sells at a similar rate. Shell Oil, the most successful company in the oil industry, estimates that “by 2010 commercial energy from biomass could provide five percent of the world’s power.” The value of that energy production could be over $20 billion. Another up and coming renewable energy source is photovoltaic (PV) cells, which convert sunlight into electricity. As technologies improve and as the US government and local utilities offer incentives, PV wattage costs are becoming increasingly competitive. Read more about Photovoltaic panels. This information has a direct impact on us as builders. Buildings comprise 35 percent of direct energy use in the United States. Of that 35 percent, 64 percent goes into heating, ventilation, and air conditioning; 24 percent heats hot water; 13 percent provides lighting; and electrical appliances are beginning to cut a significant wedge into the pie. In terms of carbon dioxide production, in total, buildings are responsible for 48% of all greenhouse gasses. Energy efficiency requires a systems-based approach to designing and building a home. All elements of the building shell; foundation, framing, roof structure and windows play key roles in defining the potential energy savings for a house. Energy use inside the home is the second tier of consideration. Mechanical equipment sized to the actual loads of the house, natural day lighting and ventilation greatly impact how much energy will be used to provide comfort and convenience. Appliances and lighting also impact net energy efficiency. All need to be considered in the early design stages to maintain cost effectiveness. 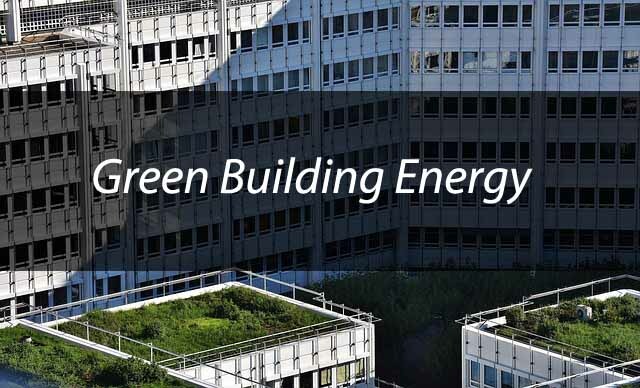 The study, Greening the Building and the Bottom Line by Joseph Romm of the U.S. DOE and William Browning of the Rocky Mountain Institute (RMI), highlights case studies of several companies that invested in energy-efficient designs and thereby experienced significant savings. The companies highlighted in the RMI study saved enormous amounts of energy—up to a 90 percent decrease in previous consumption. Further justifying the investment in retrofitting is the compelling evidence that day lighting (a design feature which allows the use of natural light, rather than artificial light during daytime hours), improved HVAC (Heating, Ventilation, Air Conditioning), and improved indoor air quality. This resulted in increased productivity, fewer worker errors, and less absenteeism in many cases studies. Because labor costs are such a large share of total costs (workforce accounts for approximately $130 per square foot, 72 times more than energy costs), a one percent increase in worker productivity can result in savings to a company that exceeds their total energy costs. There are more and more cases similar to those documented by RMI, and as a result, companies are starting to invest in energy efficiency for the reasons suggested above: reduced energy expenditures and increased worker productivity. The energy buildings require starts accumulating long before the building materials are on-site. The energy required to extract, manufacture, and transport building materials is tallied into the sum total known as embodied energy. Producing stone, glass, and clay–common building materials–makes up 6.9 percent of the industrial sector’s 37 percent of total energy use. Cement production worldwide accounts for 8% of all carbon released into the atmosphere. Additionally, minerals are found in a wide variety of building materials in the home from plumbing and wiring to insulation. There are even minerals in paint and wallpaper. Because minerals must be mined, they come to us at a high price—both in terms of energy costs and environmental impact. Next to sitting and building orientation, insulation quantity and quality are the most important decisions you will make at the onset of construction. The code officials and many energy consultants used to optimize insulation thickness according to payback. Payback was based on the average rate in increases in energy costs over 30 years. This was approximately 6 1/2 % per year. In 2002 that changed. 9/11 shifted the world paradigm about energy security. Natural gas just stopped flowing in US gas wells and we became a natural gas importer. The resultant doubling of natural gas prices (and oil prices for those who heat with oil) have changed the entire economic equation for insulation payback. Today, looking into the energy crystal ball, the more insulation you can fit into the envelope the better. After all, how long will your homes last? What will be the price of fossil fuels used to heat your home in 5,10, 15 years? If your house will stand that long it needs to be insulated sufficiently to meet those economic demands for energy. Green building reduces energy consumption in numerous ways. First, we can decrease the embodied energy of the building through efficient design, use of recycled and local materials, and recycling construction waste. Second, green building design reduces a building’s energy consumption over its lifetime. Strategically placing windows and skylights can eliminate the need for electrical lighting during the day. A whole house fan can cool the house over night, rather than relying on air conditioning. High quality insulation reduces temperature regulation costs in both summer and winter. Additionally, houses can maximize passive heating and cooling. South facing windows with overhangs can reduce heating costs by 20 to 30 percent, and prevailing breezes, shading, and natural plantings can keep houses cooler in the summer. This list only scratches the surface of the possibilities for reducing a building’s energy requirements.